From radiator installations to valve updates and radiator maintenance, Gas Mark 1 have both the products and knowledge to deal with any enquiry. Along with our sister company Herts Bathrooms, we can supply and install all of the top brands of designer or standard radiators, towel radiators and radiator valve brands. Our friendly and helpful team are on hand to offer advice and assistance on ensuring you get the right radiator for your home. We can also offer home visits where we carry out heat loss calculations to make sure your new radiator is correctly sized. Our fully qualified Gas Safe engineers have the expertise to install any radiator to the highest standard, leaving you with a top quality finish. Alongside our excellent range of efficient radiators we also supply and install all the top accessories such as thermostatic radiator valves, which can help to increase the efficiency of your central heating system and save you money on your heating bills. 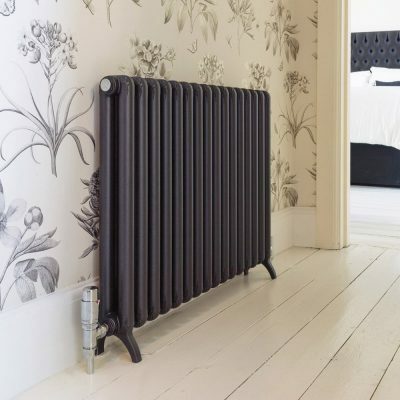 Whether you are looking to change your radiators or just want some advice, please give us a call and we will be happy to help or alternatively visit our showroom to see our large display. Please see below for some examples of our products. As well as installations we also attend to radiator breakdowns and carry out power flushes. Power flushing your radiators is one of the most important factors in making sure your system is working efficiently, significantly lowering the chance of your central heating system breaking down. For more information on our breakdown services and power flushing please visit our Maintenance section.